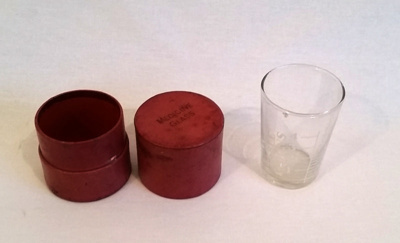 About this objectGlass for measuring out medicines marked off in tablespoons and teaspoons. Has cylindrical red cardboard container. Glass was part of stock in Whitehead's store when Ian and Margaret Whittaker purchased same in 1960s.